It turns out that Dutch girls are very appreciated and known in the modeling world, the reason is their natural freshness, smooth skin, high growth, long legs, they are very industrious and self-sufficient. The Dutch girls reminded us of Swedish and the finnish girls, namely their outstanding, we would even say, Nordic appearance. 23. Lonneke Engel (born June 14, 1981 in Eindhoven, the Netherlands) is a Dutch model. 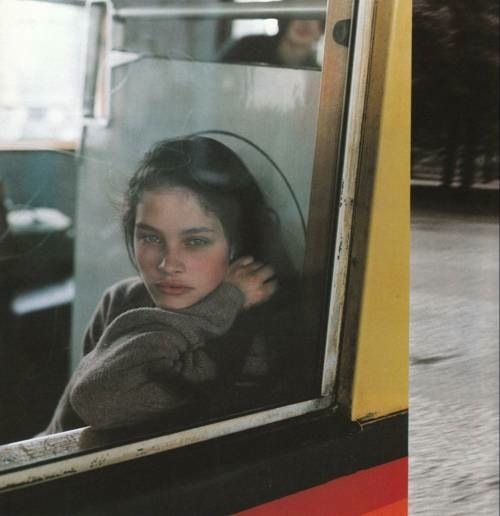 She was discovered by the famous photographer Bruce Weber. She is an active fighter for nature, conservation of natural gods, as well as the founder of an online magazine dedicated to the health of "Organice". She participated in advertising campaigns, graced covers of various magazines, became the face of many advertising brands, including cosmetic brands. 22. Sophie Fleming (born July 3, 1988, the Netherlands) is a Dutch model. She currently cooperates with such brands as Aquascutum, Cynthia Steffe, Jonathan Saunders, Just Cavalli, Kenzo, Lacoste, Matthew Williamson, Sportmax, Yohji Yamamoto, DKNY, Givenchy. Became the face of the new advertising company of the famous brand of women's clothing Maison Scotch , called the "Maison Scotch S / S 2012 Ad Campaign" . 21. Valerie van der Graaf (born in 1992 in Rotterdam, Netherlands) is a Dutch model. She works in the agencies of Paris and Milan, appeared on the covers of such magazines as Vogue (Greece), Grazia (Italy), Vogue Girl (Korea), AvantGarde (The Netherlands), I Love Fake (Great Britain). In 2012 she starred for Lavazza Calendar. 20. Lara Stone (born December 20, 1983, Geldrop, the Netherlands) - the Netherlands top model. Her mother is Dutch, and her father is an Englishman. In 2010, became the number one model in the list of 50 best models, and in September 2012 moved to the list of "Icons of the industry" by versions of models.com. She was also placed on the 9th line in the list of the 20 models of the same site. At the age of 15 she took part in the Elite Model Look contest. Not winning the contest, Lara struck Elite management and signed a contract with Elite Model Management, thereby launching a brilliant model career. 19. Kim Feenstra (born August 23, 1986 in Groningen, the Netherlands) is a Dutch model of Indonesian origin. Winner of the second cycle of the Dutch Next Top Model. She received 50,000 €, signed a contract with Max Model, starred for Glamor magazine, worked as a model in South Africa for the Ice Model and Mercedes-Benz A-Class. She starred for covers of fashion magazines. 18. Kim Noorda (born on April 22, 1986 in Amsterdam, the Netherlands) is a Dutch model. She started her modeling career in 2003. Represented the agencies DNA Model Management , Viva Models, Why Not Models and Wilma Wakker, was the face of Bvlgari, Omnia and Crystalline parfum. She participated Chanel, Burberry, Prada and Dolce & Gabbana fashion shows, starred for Vogue (Brazil, Japan, Russia), Madame Figaro, D, Marie Claire (Italy), Elle, Avantegarde (Netherlands) and Harper's Bazaar. 16. Famke Beumer Janssen (born November 5, 1964, Amstelveen, the Netherlands) is a Dutch actress and model. At the beginning of her modeling career moved to the US, where she worked for the Fashion House Yves Saint Laurent, while simultaneously studying acting at Columbia University. Her first appearances on the screen were connected with television: Famke was a guest actress in the "Star Trek: The Next Generation" and "Melrose Place". After several remaining unseen roles on the big screen appears in the role of the opponent of James Bond in the movie "Golden Eye". 15. Sanne Nijhof (born October 20, 1987 in Oviridjssel, the Netherlands) is a Dutch model. Was the winner of the first cycle of the Next Top Model of Holland. Her prize was 50,000 euros and a contract with Max Model, covers for the magazine Glamor, and the right to represent the Netherlands at the world competition Ford Models Supermodel. On January 17, 2007, she won this contest, receiving $ 250,000 and a contract with a world-famous agency. 14. Yfke Sturm (born November 19, 1981 in Almere, Flevoland, the Netherlands) - the Dutch model. She became the winner in the Dutch model contest Dutch Elite Model Look. The victory in the competition was followed by victories in 1997 at the International Elite Look Model contest in Nice, France. After the victory, she signed an exclusive contract with Ralph Lauren and Calvin Klein. 13. Sylvia Geersen (not known year of birth) - Dutch model, took 2nd place at the Hollands Next Top Model competition. Became a new face of Guess and cosmetics Laura Mercier. 12. Elise Winklaar (not known year of birth) - Dutch model, won second place in the Holland's Next Top Model. 11. Daphne Deckers (born November 10, 1968 in Nämgegen, Netherlands) is a Dutch model, leading, screenwriter and actress. She began her career as a model. Later starred in several films, but the most famous was the film about James Bond "Tomorrow Never Dies". Currently she writes children's books and books about family life. In 2007, she became Holland's Next Top Model and Benelux 'Next Top Model , a guest and judge of America's Next Top Model. 9. Sylvie Francoise van der Vaart (born April 13, 1978 in Breda, North Brabant, the Netherlands) is a Dutch model, actress and presenter, the wife of football player Rafael van der Vart. In early 2012 she was honored to become a prototype for the famous Barbie doll. Currently, she continues to work for the agency "ANC Model Management". Successfully coped with breast cancer after having undergone the necessary treatment. 8. Marloes Horst (born March 8, 1989) - Dutch model, one of the new "Angels" of Victoria's Secret. The first contract with the modeling agency "Ulla Models" she signed as a teenager. After that there was a whole group of agencies that literally hunted for a girl, and she traveled all over Europe: Copenhagen, London, Madrid, Barcelona, ​​Berlin, Milan. In 2011, she became the face of Calvin Klein swimsuits. 7. Louise Vyent (the year of birth is not known) - a Dutch model and photographer-portraitist. She studied fashion designer in Amsterdam before she became a model. 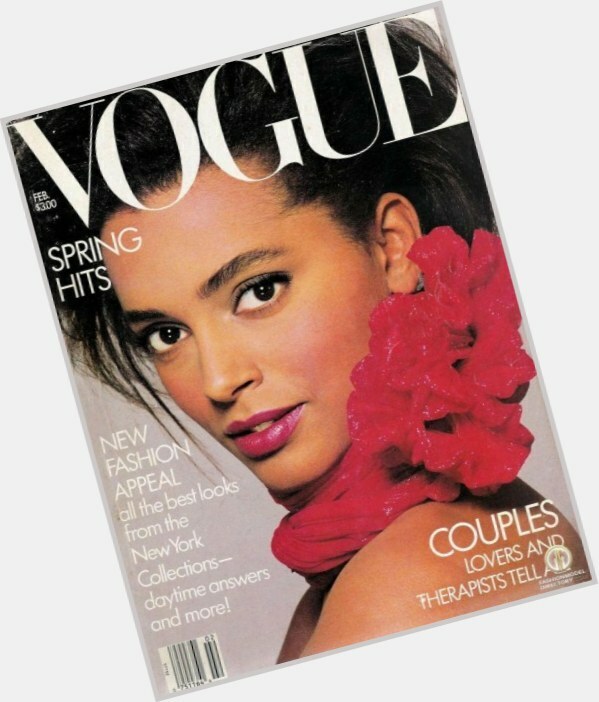 According to the magazine New Woman, she was one of the most popular models in 1990. For the first time the girl appeared in 1990 in advertising swimwear for the catalog Victoria's Secret. She also worked for Revlon and appeared on various covers for both national and international editions of Glamor , Vogue and Harper's Bazaar. By the early 2000s, there was a decline in her modeling career. As a portrait photographer, she is currently working on a new photographic project "Faces of the 21st century." Also played an episodic role in 1992 with Eddie Murphy in the comedy "Boomerang". 6. Rianne Ten Haken (born May 7, 1986, Lelystad, the Netherlands) - the Dutch model. At the age of 15 she won the Elite Model look. In 2003, she began to participate in fashion shows. In the same year she got on the cover of the Italian Vogue. Later began to appear on the covers of American, Italian and British Vogue, Numero, W and GQ . Many glossy magazines called her the Best Model. 5. Daniella van Graas (born August 4, 1975 in Tuitgenhorn, North Holland) is a Dutch model and actress. Cooperates with Ford Models , Inc. As a model she collaborated with Armani Jeans, Aveeno, Barely There, CoverGirl, L'Oreal, Max Factor, Maybelline, Pantene, Peps i and Tomasina . Became famous when she began to collaborate with Aveeno. She appeared on the covers of the magazines Fitness, New Woman and Cosmopolitan. In October 2008, appeared in the TV show Entourage. Played episodic roles and supporting roles in the films "The Perfect Stranger", "Love by the Rules and Without", "Autumn in New York". 4. Nathalie Den Dekker (born June 26, 1989) - Dutch model, graduated from the University with the title of Master of Law, won the competitions: "Miss Tourism International-2010", "Miss World Netherlands 2012". 3. Lorena Ayala Van Heerde (born May 21, 1984 in Amstedam) is a Spanish-Dutch model, her father is Dutch, and her mother is Spanish. She works for such model agencies as: Group Model Management, NEXT Company, L'Agence, MC2 Model Management and Louisa Models. 2. Karen Mulder (born July 1, 1970, Vlaardingen, The Netherlands) is a Dutch model known as one of the Victoria's Secret Angels. She appeared on the covers of fashion magazines, such as Harper's Bazaar, Vogue, Cosmopolitan, Glamor and ELLE . She participated in advertising campaigns 123, Calvin Klein, Celine, Cerruti 1881, Chloe, Christian Dior, Escada, Garnier, Genny, Armani, Guess, Jean Paul Gaultier, Lanvin, Nivea, Ralph Lauren, Swarovski, Valentino, Versace and Yves Saint Laurent . She worked on the podium for Givenchy, Chanel, Christian Lacroix, Nina Ricci, Balmain, Fendi and Gianfranco Ferre. She was photographed by the most famous fashion photographers in the world: Peter Lindbergh, Patrick Demarchelier, Bruce Weber, Marco Glaviano, Helmut Newton, Stephen Maisal, Irvine Penn and Arthur Elgort. 1. Doutzen Kroes (born January 23, 1985 Ostermer, the Netherlands) is a Dutch supermodel of Frisian origin, one of the highest paid models in the world. In 2005, she was chosen as the best model of the Vogue site . In 2006, she signed a contract with the cosmetic brand L'Oreal Paris . In 2007, in the May issue of the American version of the Vogue appeared on the cover along with other models where they were presented as a new generation of supermodels . She is the only known model, including the Victoria's Secret Angels, who got into the modeling business on their own, sending their photos to agency, where the beauty of the girl was noticed even in poor-quality photographs. She appeared on the covers of the magazines Time, Vogue, Harper's Bazaar, Numero, Seventeen, ELLE, Marie Claire, Glamor and many others. She participated in the advertising campaigns Calvin Klein, Dolce & Gabbana, Escada, GAP, Gianfranco Ferre, Gucci, Guerlain, H & M, HUGO by Hugo Boss, L'Oreal, Mexx, Schwarzkopf, Tommy Hilfiger denim, Valentino, Versace and Neiman Marcus. Also is one of the Victoria's Secret Angels. Starred for the Pirelli calendar in 2008.